When asked whether she has ever designed a grand holistic strategy for Brooklyn Cooperative Federal Credit Union (BCoop), CEO Samira Rajan modestly demurs. Yet during her 16-year tenure at BCoop Samira has not only been a keen observer and interpreter of her membership’s unmet needs, she has gone on to innovate new services – and even created an affiliate nonprofit — to address them. Her goal has always been intuitively regenerative — to help BCoop’s members build and retain more of their hard-earned wealth, and keep it circulating to promote what Jane Jacobs would call “the reliable prosperity” of the communities where they live and work. 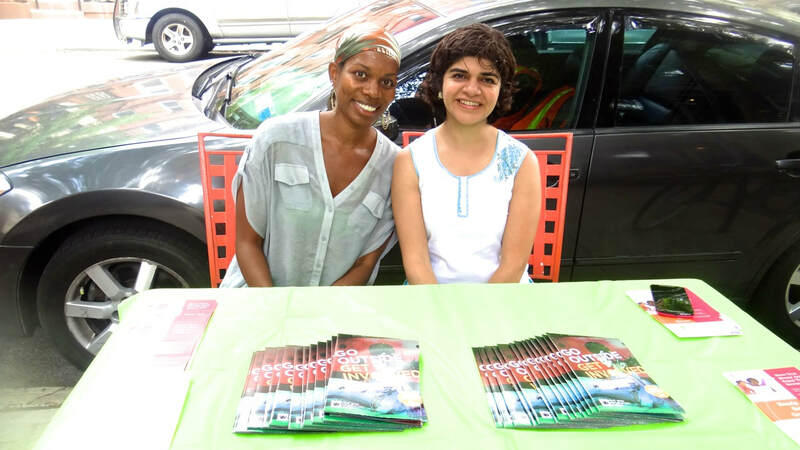 ​In 2001, Samira, a newly minted Harvard master’s graduate and a former New York Federal Reserve economist, took an unpaid internship at what was then the startup Bushwick Cooperative Federal Credit Union, located in a predominantly Hispanic neighborhood, and one of New York City’s most underbanked. Samira rose up the ranks under the mentorship of the credit union’s dynamic founder and CEO Jack Lawson who left in 2008 and is now CEO of Missoula Federal Credit Union, Montana’s largest community credit union. Fast-forward 16 years to 2017. 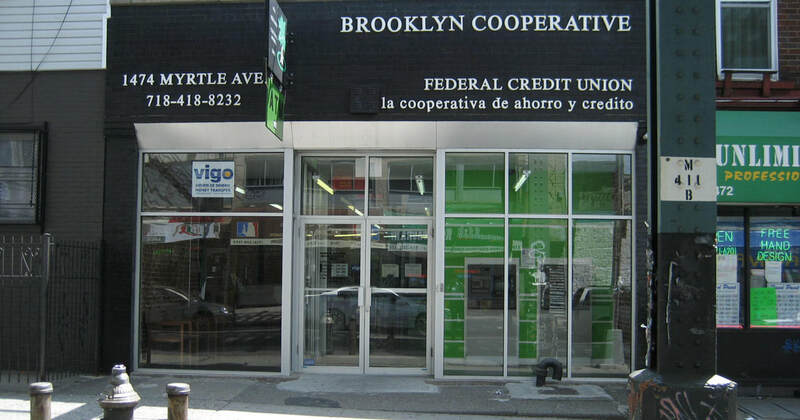 Bushwick Cooperative is now Brooklyn Cooperative Federal Credit Union (BCoop for short), a certified CDFI and member of the National Federation of Community Development Credit Unions serving Bedford Stuyvesant, Crown Heights, East New York, and Brownsville in Brooklyn and Ridgewood and Glendale in Queens. BCoop serves an increasingly diverse community of small business owners —from kale chip makers to taxi-drivers— and they often come together at evening workshops. ​And now, as BCoop’s CEO and its longest-serving employee, Samira guides a financial institution whose membership is increasingly diverse, reflecting the rapid gentrification of New York’s outer boroughs. Members include graphic designers and freelance writers, yogurt and kale chip makers, as well as the bodega, ethnic restaurants, and taxi owners BCoop has traditionally served. In 2017 The National Federation of Community Development Credit Unions named BCoop a ‘Juntos Avanzamos’ credit union for its commitment to the local Latino Community. To celebrate a mariachi band was invited to play in front of long-time BCoop member B’klyn Burro. Without collateral BCoop’s business loan default rates would be quite high. In 2016 gross business loan losses were 8.4%, but net losses (after collateral guarantees and recoveries from legal action) were 2.7%. In 2009 with the effects of the recession, those numbers were 11.5% and 4.5% respectively. The lower rate of default on consumer and mortgage loans – 3.4 percent and close to zero, respectively, in 2016—also mitigates overall portfolio risk. 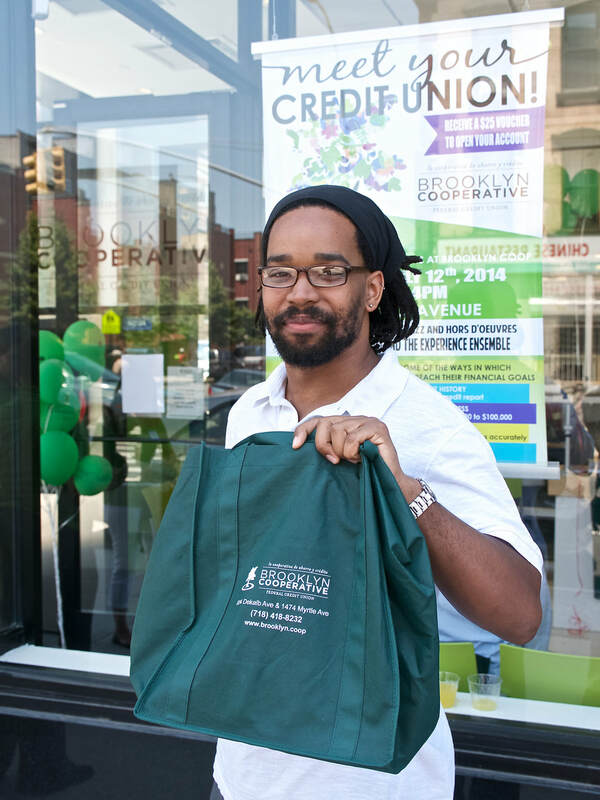 Gerard Miller, a member of the Bed-Stuy community, attended the grand opening of the credit union's Bed-Stuy branch in 2014. ​In 2007, after observing first hand how easily wealth can evaporate, sometimes because of one financial misstep — an unintentional failure to pay taxes or inadequate forethought about estate planning — Brooklyn Coop founded Grow Brooklyn, a not-for-profit affiliate created explicitly to enable members to gain the skills they need to buy a home and to help them navigate the tax system by offering free tax preparation. Grow Brooklyn is also addressing the challenges of wealth retention and affordable housing as it explores different shared equity models for its members. Staff had observed that homes often go into foreclosure, even when families own their houses outright, because they cannot cover the ongoing expenses of home ownership. Older family members remaining in their homes often see their equity vanish when they are forced to take out reverse mortgages. BCoop began offering tax preparation services for small businesses and to the self-employed when Samira observed how frequently business owners’ bank accounts were being garnished for failure to pay taxes. “These businesses usually have no access to professional tax preparation,” she notes. “And it is easy for them to get lost in the confusion of the multiple taxes to various taxing authorities that they have to pay. Often they fall out of compliance. Unfortunately when we see garnishments on the accounts come down based on tax judgments we are obliged to release the funds to the taxing authority. That is often the death knell for that business.” BCoop has responded by creating a partially subsidized, partially fee based tax prep for small partnership and for cooperatives and small non-profits. It is the only non-profit in US offering both business tax prep and legal services for estate administration and planning. 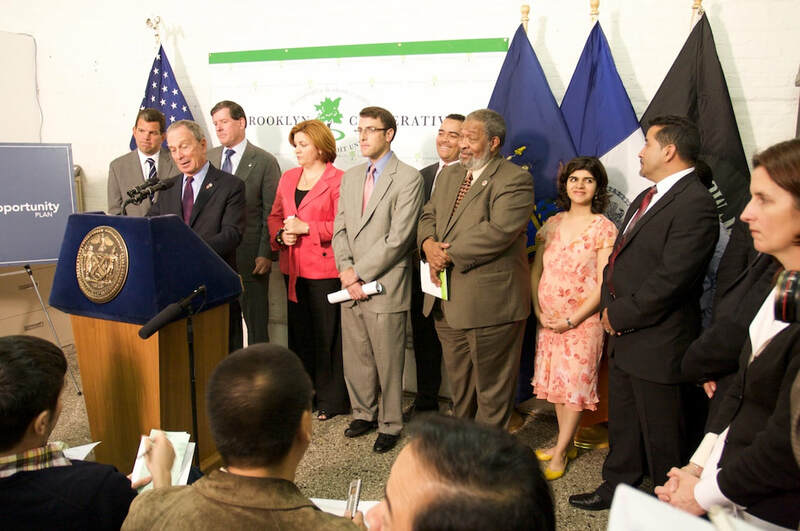 In 2009 then Mayor Bloomberg held a press conference at BCoop announcing a city initiative to support small business lending, including the collateral guarantees that have been critical to BCoop's ability to extend small business loans. BCoop small business borrower Luis Guevara stands to Samira's left. Although she reports that the regulatory environment is currently extremely difficult for small credit unions, Samira has noticed growing interest from groups around the city who want to create credit unions in their communities. Most recently she advised a group of Nepalese immigrants based in Queens who have just applied for their charter. Please share your thoughts on BCOOP CREDIT UNION here.